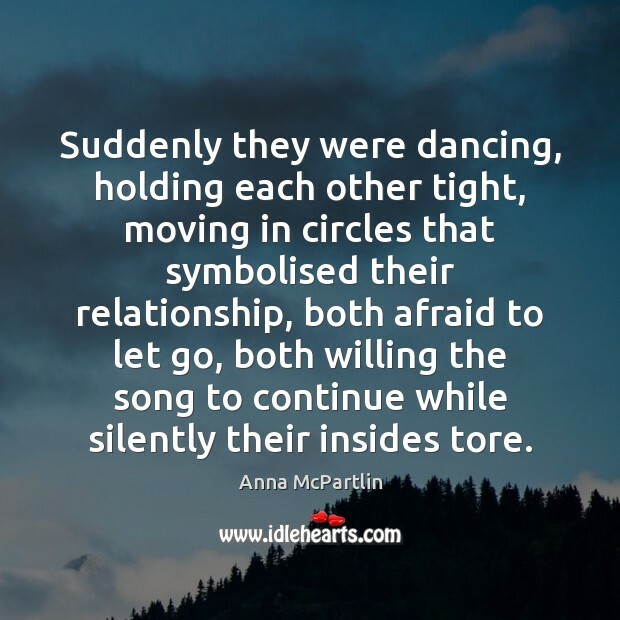 Enjoy the best inspirational, motivational, positive, funny and famous quotes by Anna McPartlin. Use words and picture quotations to push forward and inspire you keep going in life! You drive me crazy!" 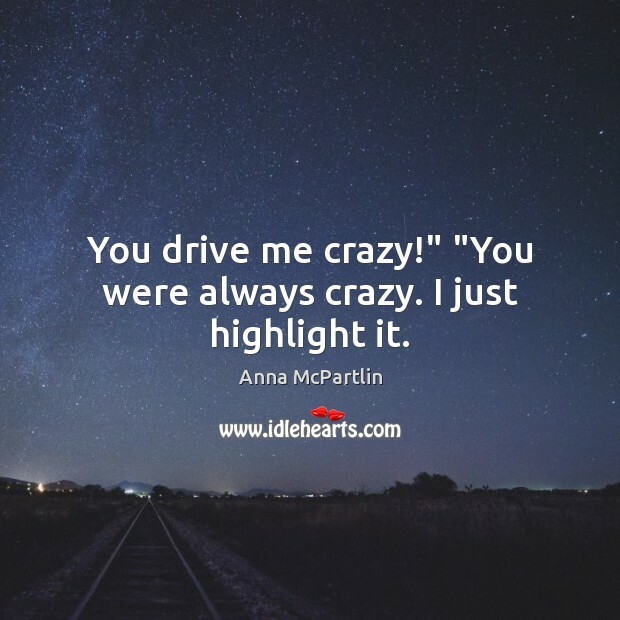 "You were always crazy. I just highlight it. It's funny how the world works, how we win and lose, how we can never really know what's ahead though we never stop planning. 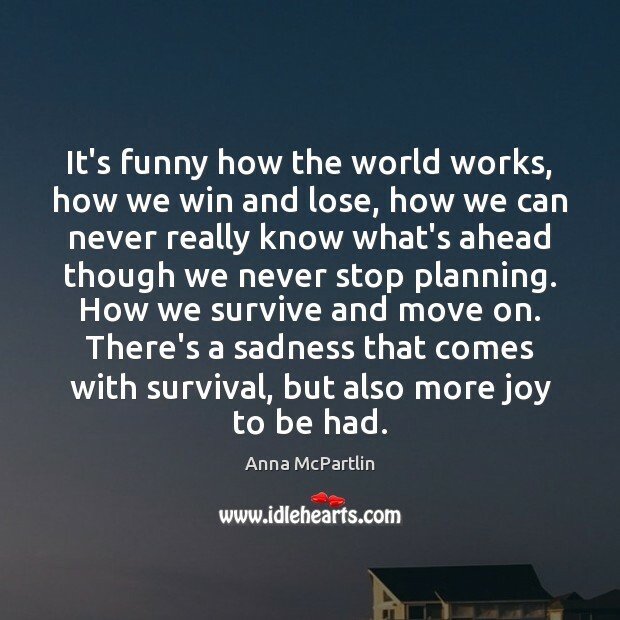 How we survive and move on. There's a sadness that comes with survival, but also more joy to be had. After night comes day. After death comes life. 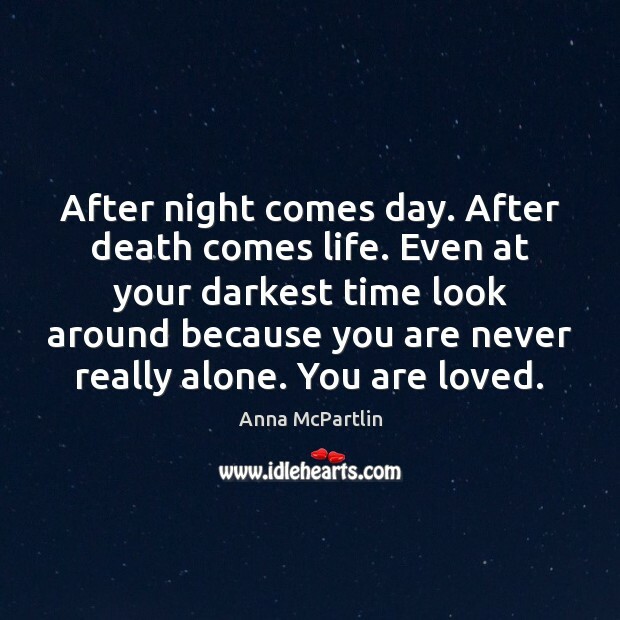 Even at your darkest time look around because you are never really alone. You are loved. 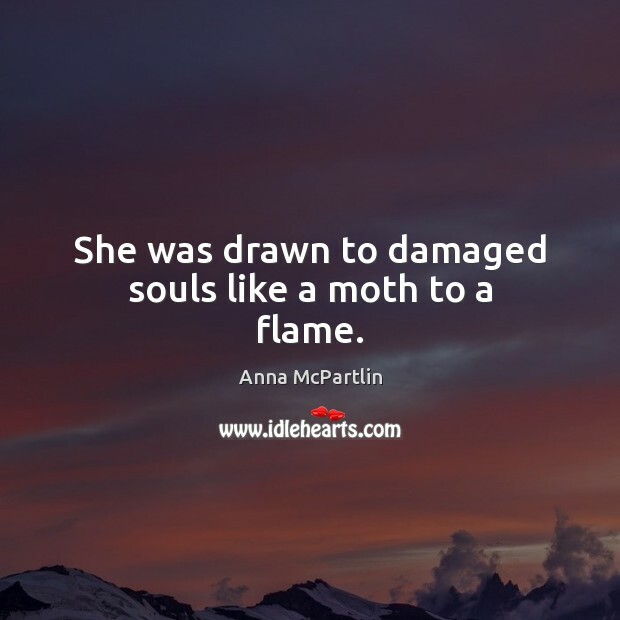 She was drawn to damaged souls like a moth to a flame. I need some space." "Because of my past?" "No, because of mine. When I'm around you I feel like I'm falling. I need to stop before I smash into the ground." "Are you always so honest?" "No. 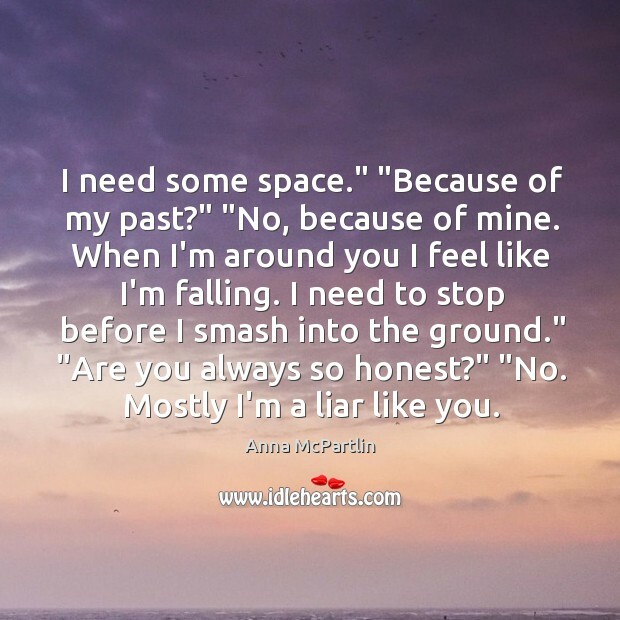 Mostly I'm a liar like you. 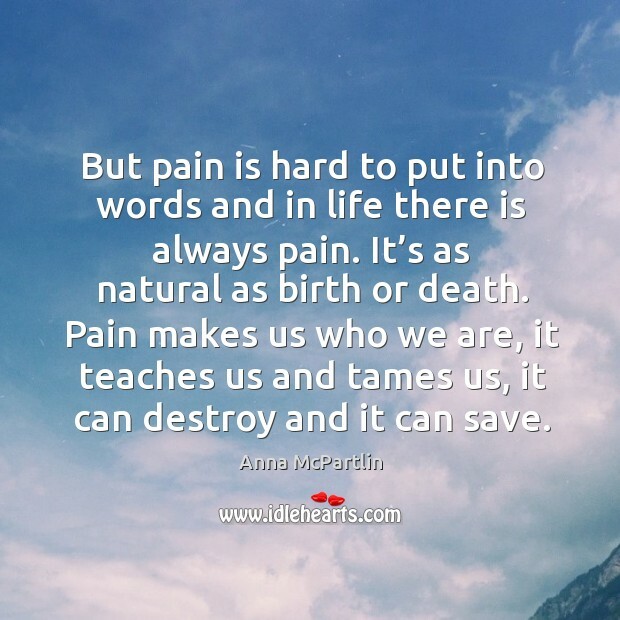 But pain is hard to put into words and in life there is always pain. It’s as natural as birth or death. 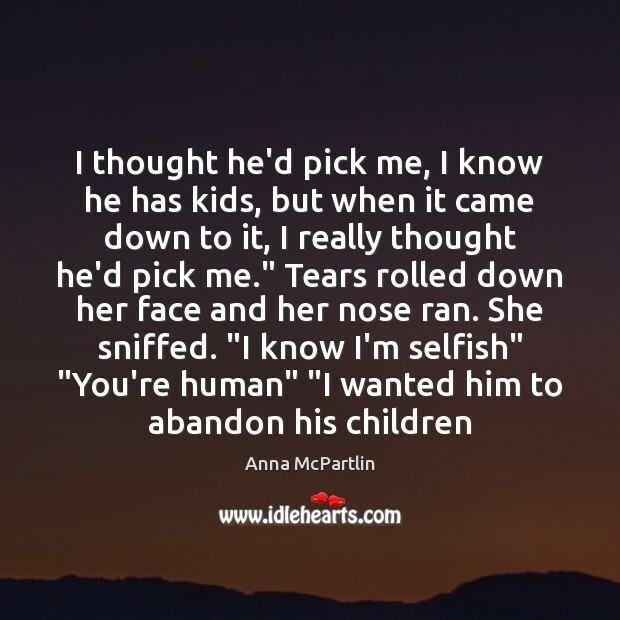 Pain makes us who we are, it teaches us and tames us, it can destroy and it can save.